This Multi-Card Vertical Badge Holder is made from Anti-Transfer Material and will prevent your ID badge from fading or the print from coming off in hot or cold environments. 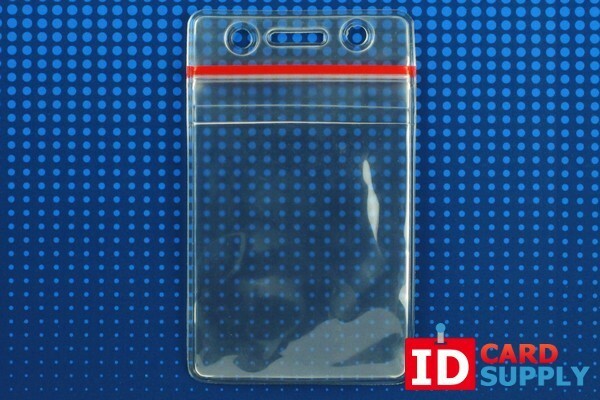 It also has a zip lock feature that will keep your badges safe from the elements and secure in the badge holder. Economically priced in lots of 100.